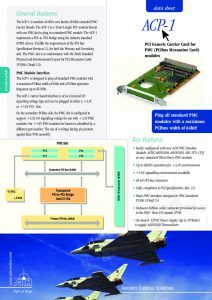 AFDX/ARINC664P7 Test and Simulation module for PCI with 2 full duplex ports programmable for 10Mbit/s, 100Mbit/s or 1000Mbit/s. 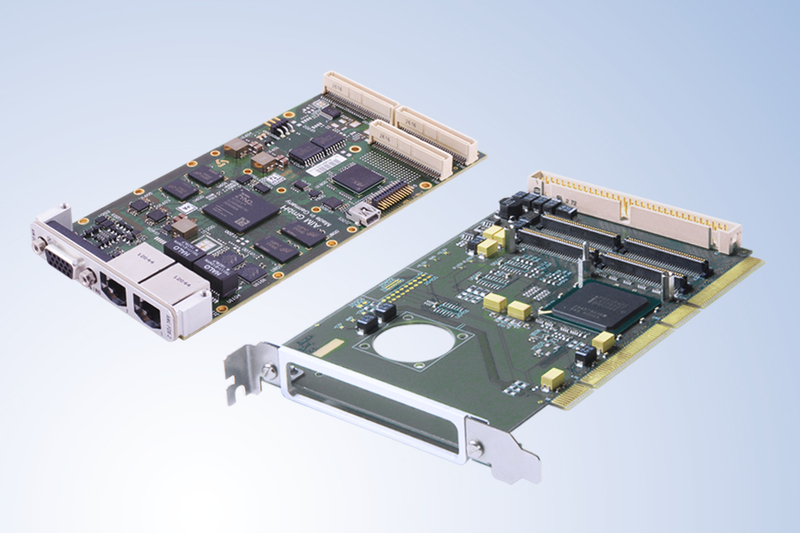 Versions available for both Airbus and Boeing variants of ARINC664P7. 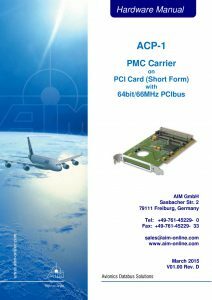 Integrated modular solution by using the AMCX-FDX-2/B PMC card installed on AIM’s ACP-1 generic PCI carrier card. 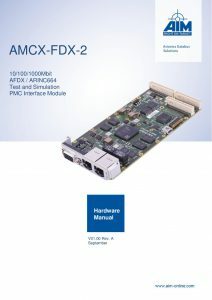 ACP-FDX-2/B is the successor of the legacy API-FDX-2/B module.